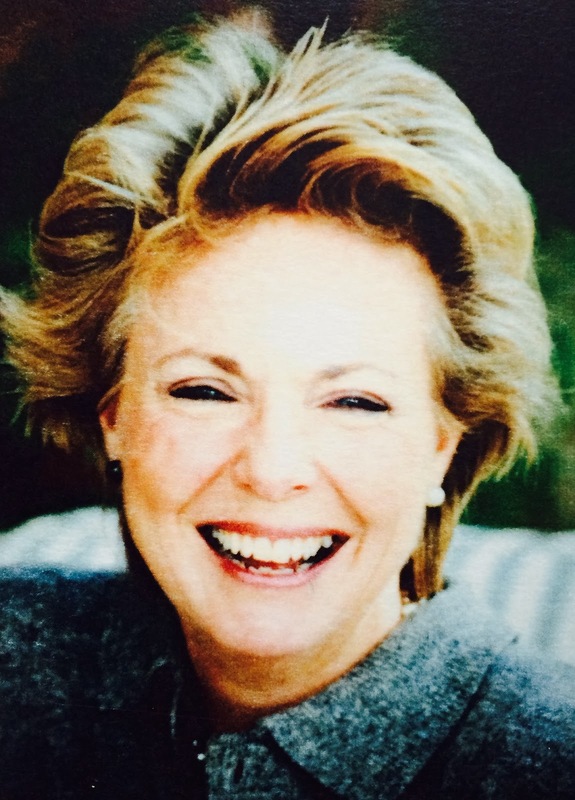 My dear friend Sally Macpherson - who I knew mostly as Sally Wilson-Young - died in November 2012. She was an extraordinarily lovely person - a bright light full of energy, talent and charm. She passed across the the Meon Valley like comet, brightening the lives of all around her. At her Funeral Service at the Grosvenor Chapel in South Audley St in London her step-son, Andrew Stafford-Deitsch spoke so beautifully about her that his words below best serve as her tribute. I have been given his eulogy by her daughter Amanda, who looked after her wonderfully in her final months. 'Sally was born in Cincinnati in 1940 to Dale and Eloise Grace. They lived outside Cincinnati and Dale ran the family dairy business. Sally actually worked there for one summer job, which resulted in a life long hatred of ice cream, at least until the very end when she took to having ice cream, cream and butter with everything! She had two siblings, Kathleen and Michael and in spite of lots of differences, Sally and Kathleen shared a common determination from the earliest age to get to New York. Sally’s childhood years were focused on ballet, followed by horses and then art and she majored in History of Art at Bradford junior college in Massachusetts. In 1961, she went to New York and worked in publishing and in art galleries. There she met my father Peter, who had, by then, been divorced from my mother for several years and they were married in 1964. Amanda was born in May 1966 and by all accounts they were very happy. I don’t remember the wedding but I do remember a beautiful apartment on 5th Avenue with a view of the park and a lovely warm feel to it. I also remember several holidays with my father and brothers when, of course, Sally was very much in evidence. Being a typically horrible 10 year old product of divorced parents, I was determined not to like Sally. She and I were about the same height at that point and I vividly remember one squabble during which I was pulling her hair and she was biting me or perhaps it was the other way round but my heart really wasn’t in it. I had already realised that as well as being pretty she was actually a lot of fun and a moment later - and much to the relief of my father - we both starting laughing and ceased all hostilities. And she was certainly very pretty - her two beautiful daughters are evidence of that! My father’s early death in 1970 was an awful shock to all of us, but particularly for Sally. They had only been married for six years and Peter was not yet 45. 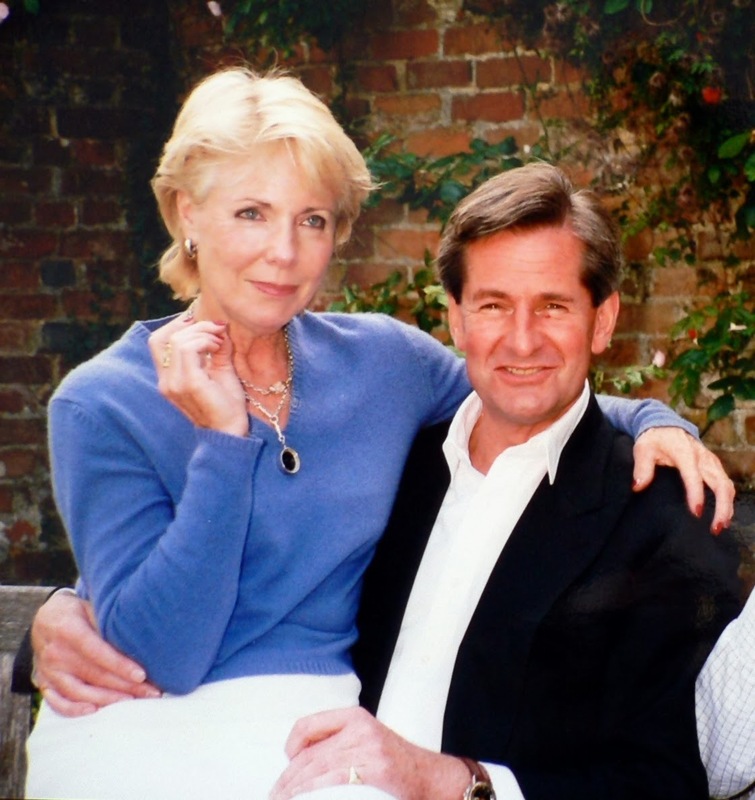 Nonetheless and true to form, she recovered quickly and moved on to marry David Wilson- Young with whom she had Ian in 1975 and Olivia in 1979. At first they lived in Mexico but by 1974 they had moved to Jervis Lodge in Swanmore which they turned into a most elegant home. They loved to entertain friends and family there and they went on many wonderful trips together as David’s job took him all around the world. When once they take you in! How they froze you to the bone. In fact, of course, Sally’s Americanness was attractive in itself and positively exotic in rural Hampshire. Sally had great taste and she applied it in many ways. She was always immaculately and stylishly dressed, and she made her houses beautiful as well as homely and welcoming. She achieved her effects with minimal fuss and just a few well chosen and probably rather expensive objects to hold one’s attention. Many I spoke to talked of the wonderful atmosphere that Sally created - often in her white apron doling out food to masses of people and loving every moment. Her cooking was really superb and she produced delicious, imaginative, creative meals with no apparent effort. She commented to one friend that she wasn’t sure she’d ever get through the pearly gates - she thought she would most probably be stuck at the entrance with her wooden spoon and whisk serving up another huge meal! In talking about Sally, her sense of fun comes up again and again. She had a great sense of the ridiculous and her infectious laughter was never far away but the word that was used more than any other was “loyalty”. She was truly interested in what everyone was doing, immensely supportive of any new project or relationship and always ready to help. I heard that she called one close friend-in-distress every morning to make sure that she was okay. She had a rare ability to help without imposing. 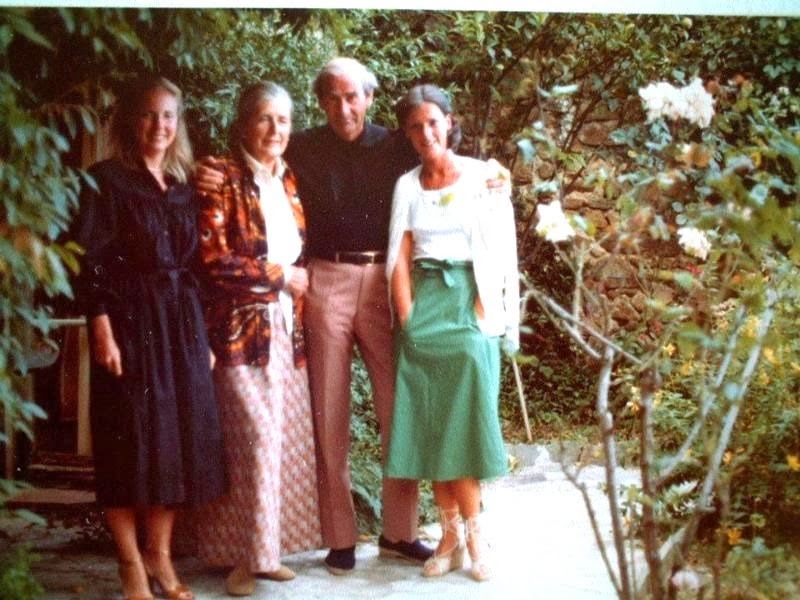 But there was much more to Sally than compassion, excellent cooking and great style. She retained her strong interest in art and, although she stopped painting watercolours fairly early on, she was very knowledgeable and enthusiastic. I heard that visiting an exhibition with her was a delight as she was so well informed and discerning. She also bought many good paintings which could be seen on the walls of her beautiful houses. Her interest in design led, perhaps inevitably, to gardening and despite reservations about an American telling the English how to do their gardens, she had the style and sensitivity to generate steady business, as well as many admirers, with her garden designs. I’m happy to say that we are lucky enough to have one of her gardens at home and it gets better with every year. Far from imposing her opinions, she listened carefully to what we wanted and then created around it. I have to admit that all the best bits are hers. Quite remarkable for someone who used to tell us that when she was in New York she couldn’t even keep a window box alive! Sally’s interests and achievements were much broader even than the art and gardening to which I have already referred. Her cheerful good nature hid a determined streak and masses of energy so that when a new interest captured her imagination, or a problem needed to be addressed, she really worked at it. She was very tenacious. Problems got solved. New challenges were mastered. Having learned the piano as a child, she adored music and was a keen fan first of ballet and then of opera. She also wanted everyone else to share her passions. Amanda says that by the time she was 15 she had seen 100 ballets and was thoroughly hooked. Sally was rather less successful in persuading Ian of the merits of opera. He would go, dreaming of boxing matches missed, and afterwards assure Sally that he had really enjoyed the performance! She read widely and well into the night and was keen to discuss books with anyone who showed an interest. She claimed to be unable to add 2 plus 2 and yet she became a keen Bridge player and really enjoyed it. Completely unknown to me, Sally was also an accomplished skier and had even bagged a stag in Scotland having spent the day flirting with an apparently rather good looking young stalker twice her height and half her age! When, finally she moved to Steadham House in Droxford, latterly with her third husband Rory, she brought with her all the skill and expertise that she had acquired over the years and managed on that relatively tiny canvas still to create a delightful house and garden. It offered all the warmth and welcome of Jervis Lodge but on a smaller scale and the quality of the cooking and entertaining was at least maintained as Rory introduced a new group of interesting and cultured friends into the mix. But to return to the theme of loyalty, this, I think was what most defined Sally to all of us. She adored her family above everything and was immensely and rightly proud of her children and grandchildren. She was delighted when Jimmy and then Jaine joined the family and wanted more than anything to see the next stages in the lives of all of them and indeed of all of us. Particularly toward the end, it was sometimes difficult to get her to talk about herself at all-she wanted to be updated on everyone else first and she delighted in the detail and in discussing what it all meant and where it all would lead. She dismissed her own problems as if they merited no mention. To everyone I spoke to, Sally was an exceptional friend, a friend in need, generous, and extravagant - wildly so on occasion - with no understanding of money and no idea why people got so upset about the stuff. She liked to give good presents and good parties: whether she could really afford them was a secondary consideration. She didn’t judge people, she looked for the best in them and then used her sense of humour to extract it and there was always laughter - gales of it. 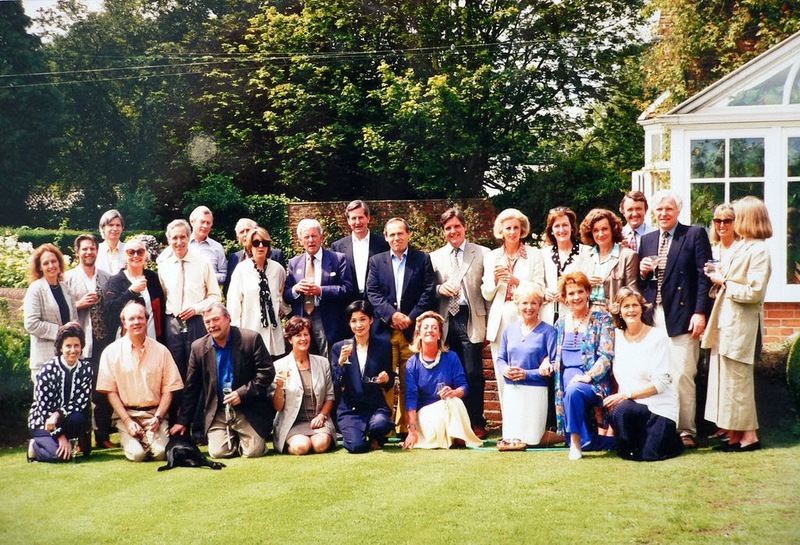 Below is a photo of Sally and friends at one of the annual lunches given by B'lin and Will Martin at Hill Farm. She's on the grass, third from the left. It's appropriate because it includes many of her close friends, all of whom miss her terribly to this day. Left to right, standing: Di Gibb, Geoff Spawton, Chris Gibb, Annie Spawton, Will Martin, Anthony Provest, Julian Pearson , Sandra Wake, Nick Duke, Herry Lawford, Mike Lawford, Peter Cartwright, Pauline Provest, Sheila Proffit, Jane Lovell, Ian Hay, Richard Lovell, Erica Hay, Val Pile. Sally and Herry at the Martin's lunch - lovely of Sally!